Welcome to our new blog at Treasure Montessori Nursery and Preschool. 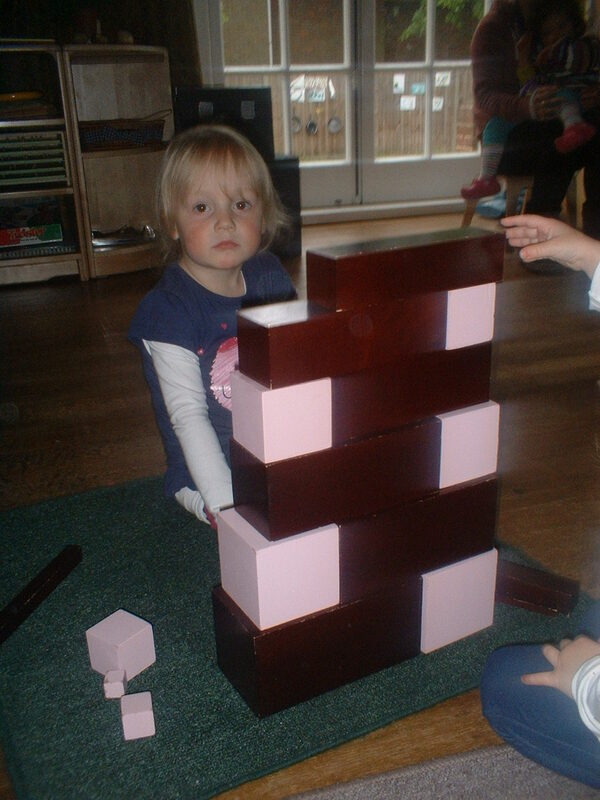 Here, you can find out about what we do here, what the children are learning and learn more about the Montessori method of education and how we use it in line with the Early Years Foundation Stage. We will provide parents information about what the children have been learning in the preschool, how the babies and toddlers are developing, what the children are eating and the other activities that they have been engaging in. We hope that you will enjoy reading our blog and learning more about life at Treasure. 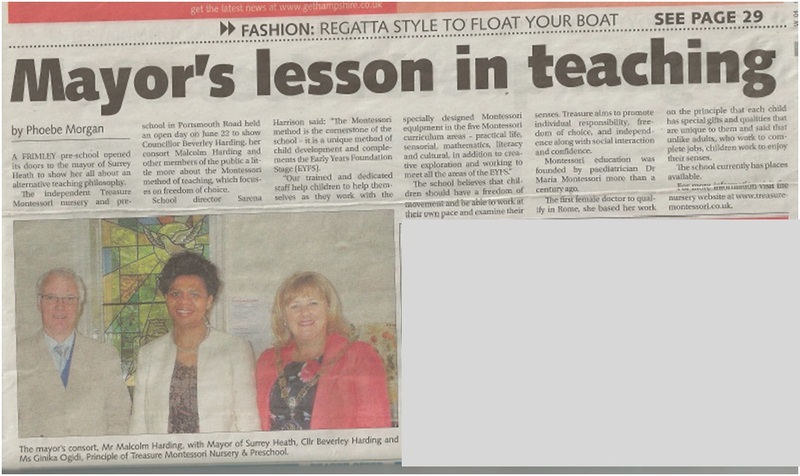 The Camberley Star Courier printed this nice article about us and Montessori from our open day. Apologies for the delay in the second installment of this topic. We were quite busy at the end of last week making sure that everything was ready for the open day and the blog just didn’t get a look in! 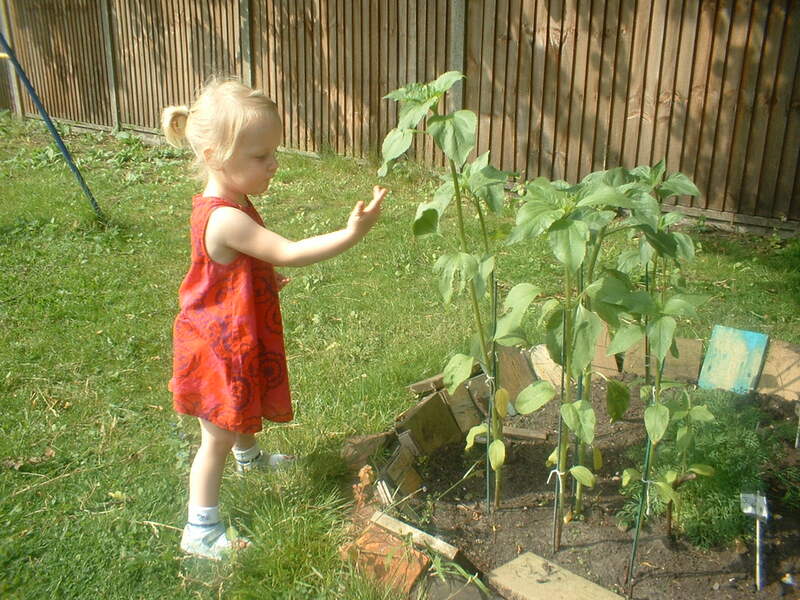 The children have been watching their sunflowers grow in the garden and many of the flowers are now taller than some of the children. We have had to move them now from the flowerbeds and plant them by the fence to give them support. We have been working on our display boards in the preschool, updating them to a summer theme. We have chosen ‘beach fun’ for one board and our rhyme for the season is, of course, ‘The Sun Has Got His Hat On”, although with the weather we’ve been having here recently, it doesn’t seem to really be the case. The children worked together with Miss Bianca to paint the sun and really seemed to enjoy getting their hands dirty! At least all this rain has been keeping our vegetables nice and healthy. We have more salad than we know what to do with and it’s only a handful of the children who actually like to eat it, so the teachers will probably be taking it home to have for their dinner! 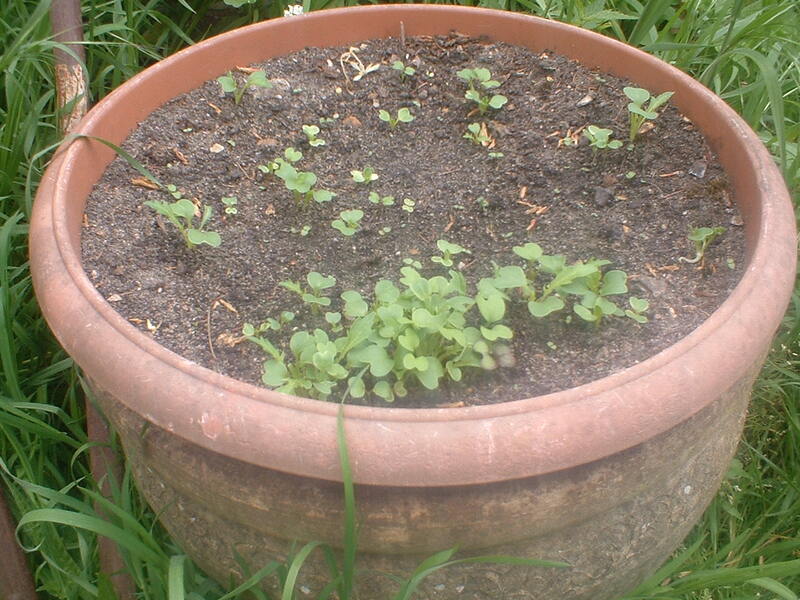 Hopefully it won’t be too long now before the carrots, cabbage, broccoli and beans start to be ready. We have some pumpkin seeds to plant and need to start thinking about what else we can plant in the vegetable patch ready for the autumn. Unfortunately our cucumber and onions did not grow, which could be down to the pesky cats that we’ve seen strolling though the garden and which appear to have dug up some of the beans. something new and a bit of a novelty for them. We are considering introducing these sessions as a regular activity for the children, most likely led by one of our existing members of staff. 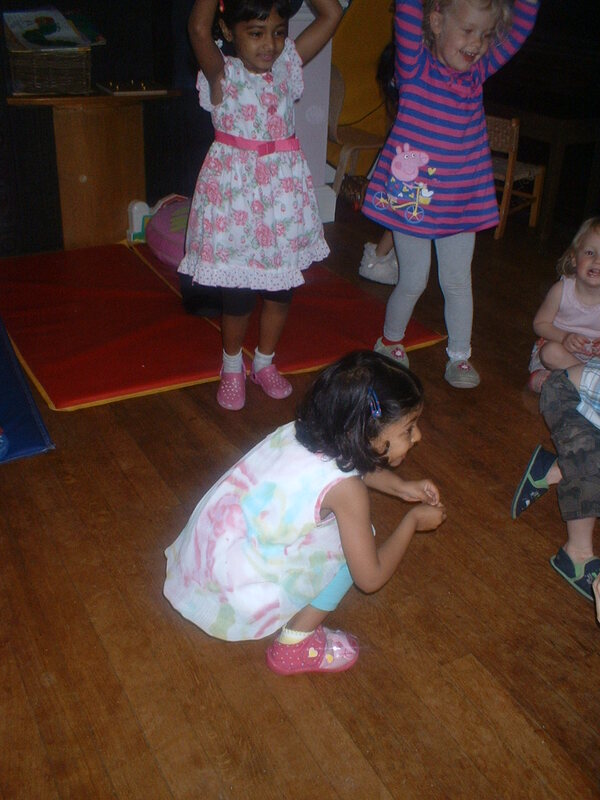 Although we already do music and movement activities with the children, they are not as structured as this session was, which really seemed to work well with the children. So far, June has been a busy month for us at Treasure Montessori. We have been busy getting ready for our open day on Sat 22 June, getting ready for summer, celebrating birthdays, among other things. There is too much to write about in just one post, so it will be spread out over the next two days, not to mention a post after the weekend about our open day. We are very lucky to be having the Mayor of Surrey Heath, Mayor Harding and a photographer from the local newspaper in attendance. Unfortunately, it looks like we might be in for some rain but that just means we’ll have to bring our activities inside and hope it’s not too chaotic! 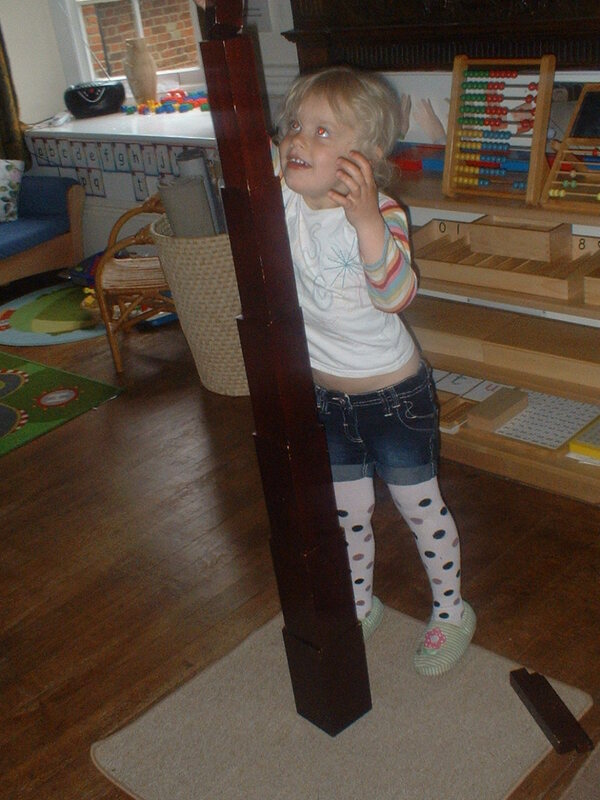 The children have been working well with the Montessori equipment and in the preschool, they have been using the materials in new ways for them as they are getting ready to start school in September. Here, “I” is working with the Broad Stairs and the farm animals, which is a firm favourite in the preschool and there is usually at least one child every day who likes to work with these materials together. This is a good way for the children to work with the materials in a different way and can help them to learn prepositions. “I” has also been working to build a Broad Stair tower, which is even taller than she is! “E” has been working to build the Broad Stair and Pink Tower wall. The children have been working with the Long Rods and the Number Rods a lot this month and so we helped them to build the Long Rod Maze. The children really seemed to enjoy walking through their maze. This is a great exercise to practice balance and for negotiating space. There were a few trips and wobbles but with more practice, they will all soon be pros! The children have been working beautifully with these materials and have really been learning to work well with each other, following instructions and problem solving. We have had a few birthdays this month and the children love to bring in their own cake and we celebrate with them, lighting their candles and singing to them. 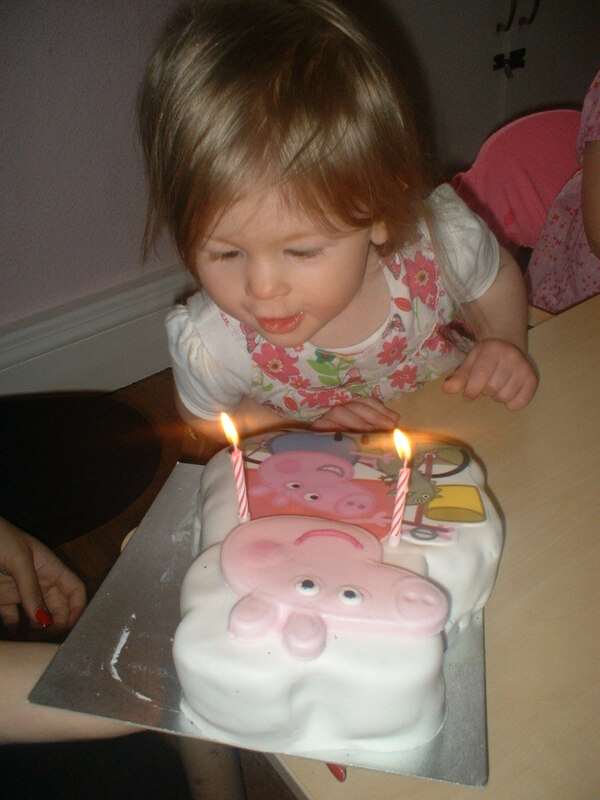 Here is “S” celebrating her 2nd birthday with her Peppa Pig birthday cake. It was delicious and we would like to say “Thank you” to her mummy and daddy for bringing it in for everyone! Over the past couple of weeks, one or two parents and visitors have asked about Montessori in primary schools and whether this exists. The answer to this is yes. However, unless you are lucky enough to live near one of the very few state funded schools, you will need to go down the private route if you would like your child to continue their Montessori education past early years. Montessori Centre International provides a list of Montessori schools and provides you with a guide to help you select the right school for your child. This list can be found here. The list is not exhaustive and only includes schools that are members of the Montessori Schools Association but a search on Google should help you find any in your area that aren’t on the list. If your child attends or plans to attend a Montessori primary or junior school, we’d love to hear from you so we can share your experience and views with our readers and parents. This month is National Smile Month and so this week the children are looking at dental hygiene and teeth. As part of their Practical Life activities, the children each have their own toothbrush and toothpaste in the bathroom, so they can brush their teeth after breakfast and lunch and this week we are focusing on helping the younger children to brush their teeth independently and without eating too much toothpaste! Today, the children have been making tooth sponge paintings. They enjoyed doing this and were really good at taking turns to share the sponge and they also worked really neatly to make some really good tooth paintings. activities,involving toothbrushes, that the children could do, such as cleaning mud from the soles of their shoes. Talking of mud, as is usual here at Treasure Montessori, the children have been in the garden this week, despite the bad weather over the past couple of days. Miss Katia and Miss Bianca spent time clearing out the toy shed, with the help of some of the children, and found a rather large eight-legged friend living in there. MissKatia was very brave and got it into a jar and the children were fascinated by it, especially the babies. It’s lovely to see the children enjoying looking at this spider without any fear, something that they may pick up on and learn from the adults around them as they get older. Some of the teachers really weren’t keen on being near our friend but all did their best to hide their reactions so as not to influence the children. Surprisingly, none of the children seemed afraid or nervous of the spider, even those who have been worried by bees and flies in the garden, and they were all quite happy to hold the jar (more so than some of the teachers!). Maybe they just don’t feel threatened by spiders or they trusted that it was secure in the jar. 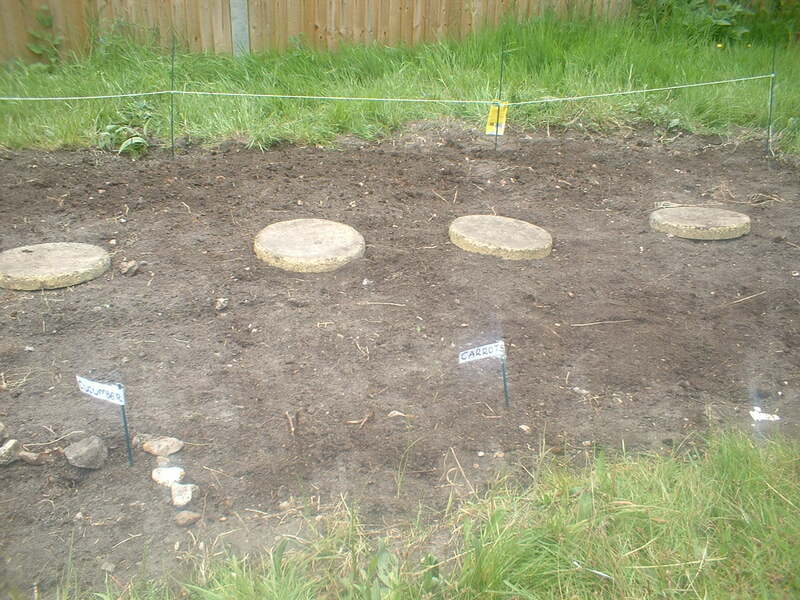 Since the beginning of this month, we have been working with the children to make improvements to our garden space. We are very lucky here at Treasure to have such a large garden area and have been talking with the children to try to come up with ways to best utilize this space. Over the past couple of weeks, we have been digging a vegetable patch and were finally able to plant seeds in it last week and are now waiting eagerly for them to start to grow. We have planted carrots, cucumber, runner beans and onions, hopefully all vegetables that the children will enjoy eating and can harvest to let our cook prepare them for lunch and tea. The lettuce that the children planted three weeks ago is coming along nicely and we hope to be eating it in the next few weeks. Our wild/nature garden is also doing really well. We must have had lots of birds to visit as they have emptied the bird feeder three times in the past three weeks and we now need to buy more seed to keep them going. It could be down to the pair of robins who often visit us. There was a curious one watching while we were weeding this afternoon. The children enjoy watching our little visitors and they may inspire some bird related activities. 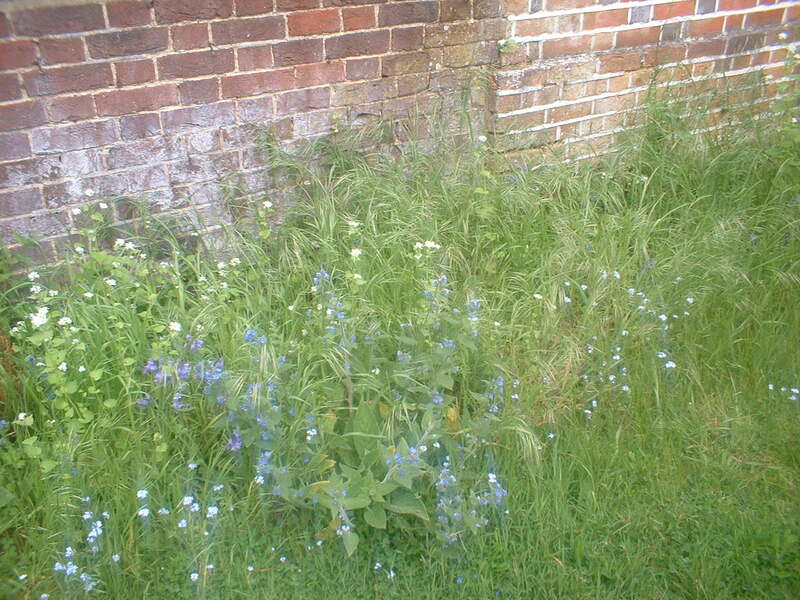 Our next challenge is to convert this overgrown area into a herb/kitchen garden. Some of the children may choose to come and help pull up the weeds and dig in the compost, which hopefully they can enjoy. A lot of the children like to choose hands-on and messy activities.